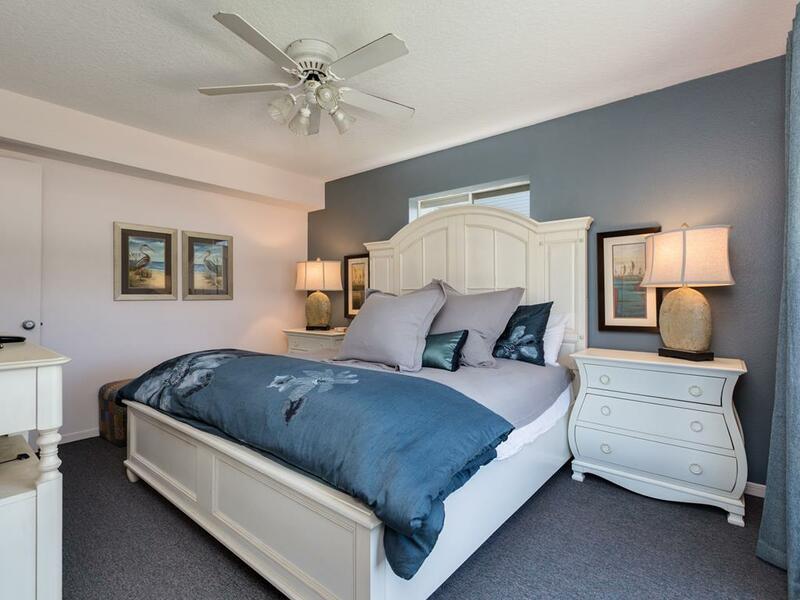 Panoramic beachfront Gulf views, wood-burning fireplace, media library, pillow-top mattresses, and more! 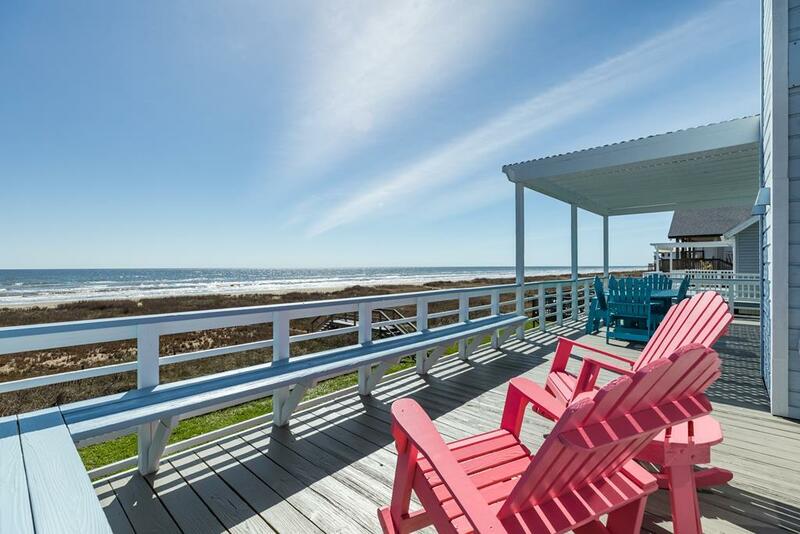 This Galveston beachfront vacation rental, with its panoramic Gulf views, is the perfect retreat for days full of vacation fun. 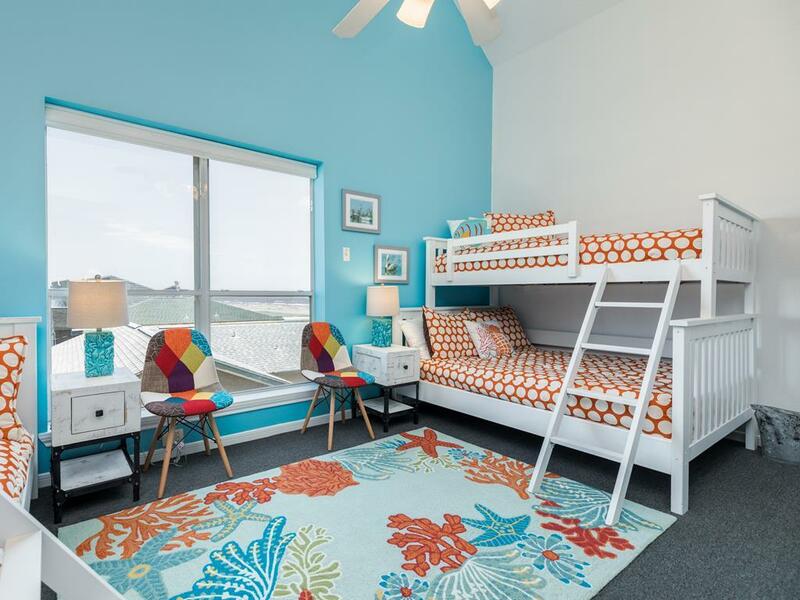 Your entire group can comfortably enjoy the huge Great Room's open space with living/dining and kitchen facilities, plush furnishings, vaulted ceilings and a wall of windows showcasing the Gulf. Entertainment is provided with a 55 inch Smart TV and a Blu-ray™ player that allows you to stream Netflix, watch YouTube and enjoy the CD/DVD/books library provided. 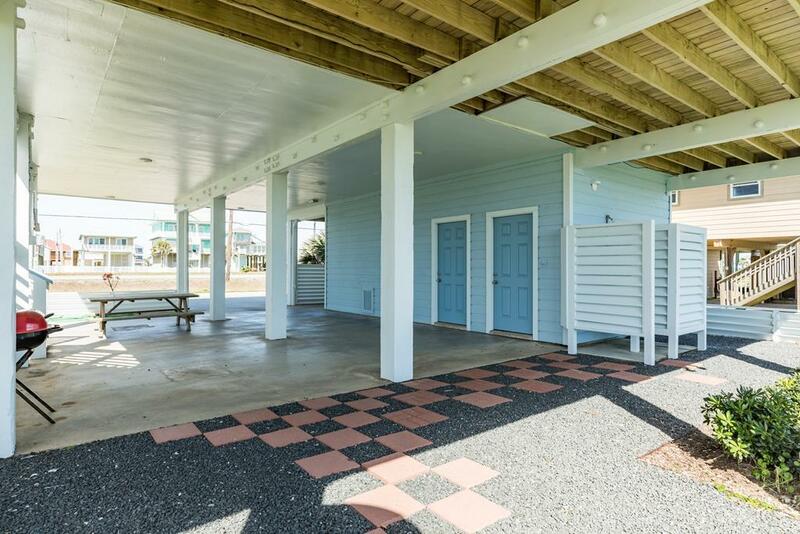 Access to Seehaus is easy with a paved driveway entered from a paved street with parking available for four cars. Access to the beach is also easy with paving stones leading from the hardscape patio to the shared dune walkover. And, when it's time for bed, you will enjoy large (52 inch, 31 inch and 31 inch) flat screen TVs with Blu-ray™ players, streaming capability, DVR capability and point anywhere universal remotes. 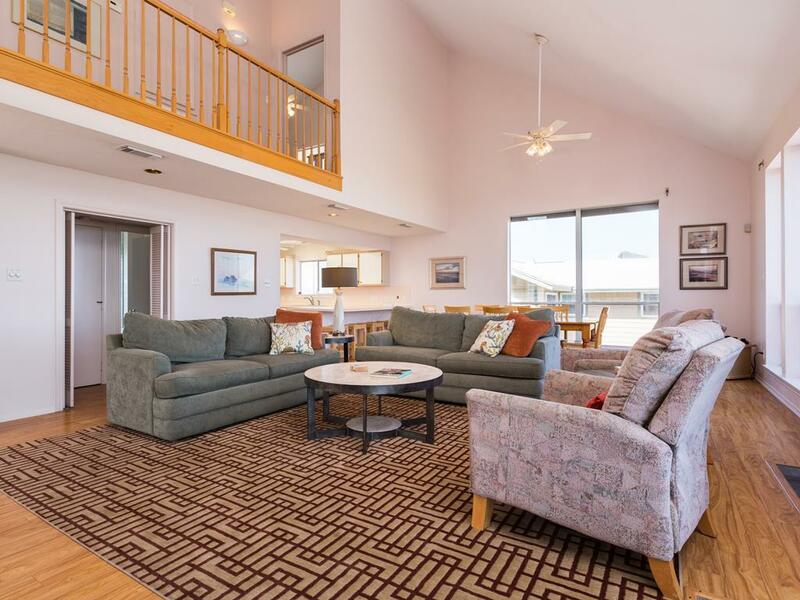 When you're ready to take advantage of your beachfront location just head to deck or take a few steps past the dune and you're on the beach!! 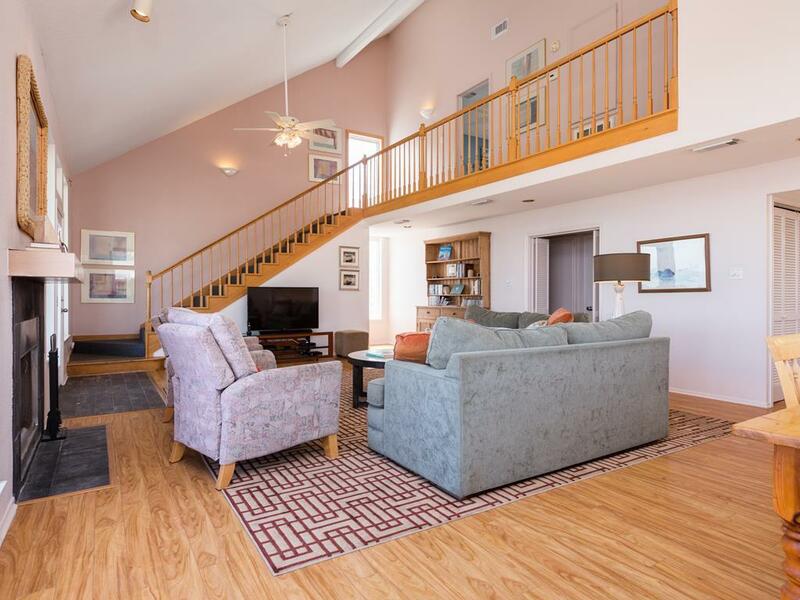 Main Level: Living Room - fireplace (wood)/two large sofas and two recliners/TV/DVD/Blu-ray™ player; DVD/CD/Books Library; Gulf view; Kitchen- large serving space/counter seating for 4/Gulf view; washer/dryer; Dining area- 1 table seating 8/Gulf view; Master Bedroom (King)- 1 full bath - tub/separate shower; Outdoors - partially covered deck with built-in seating, rockers, and a Teak dining table and 6 chairs. 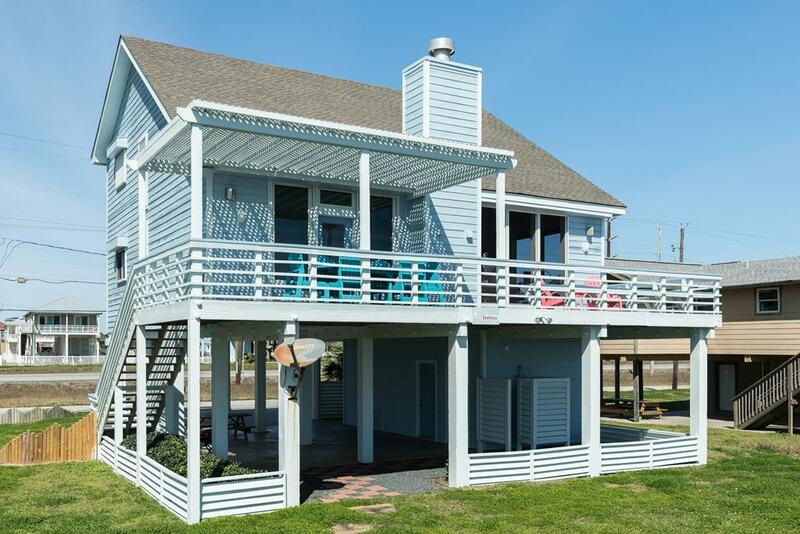 It is a lovely home, clean and comfortable, highly functional floorplan and absolutely stellar location on the beach with incredible views... coffee in the early morning, wine in the evening from that deck is worth every penny! The beach is very nice and it's far enough down on the west end it's not crowded and few if any day trippers or big partiers. This may sound petty. Tthe deck furniture was uncomfortable and difficult to move around as it is extremely heavy. Great kitchen space and very well stocked with utensils, dishes, pots and pans. Seahaus was more than expected, kitchen is stocked perfectly, beds and linens are SO comfortable. The small amenities this property owner thought of are part of what made the stay easy, lovely and relaxing. Highly recommended. Very well kept, comfortable, with everything needed for the stay. This is a very comfortable house. We eat the majority of our meals in and the kitchen had every utensil you need. My family has rented Seehaus for many many years. We had to take a break due to high school extra curriculars but I was so thrilled to be back. The house was so comfortable snd it never occurredto me yo go anywhere else. A great and much needed retreat! Met all my expectations, very roomy and comfortable. Very comfortable house with well stocked kitchen, great views! Seehaus exceeded our expectations! Very spacious with a well laid out floor plan. Clearly much thought was put into all the extras...hooks everywhere! The kitchen is equipped with above average cookware, tableware and utensils. Our family had an excellent week. Thanks so much! The Seehaus is a great house. Nicely decorated with great views! I would stay at this property again. This is our 2nd time at Seehaus. 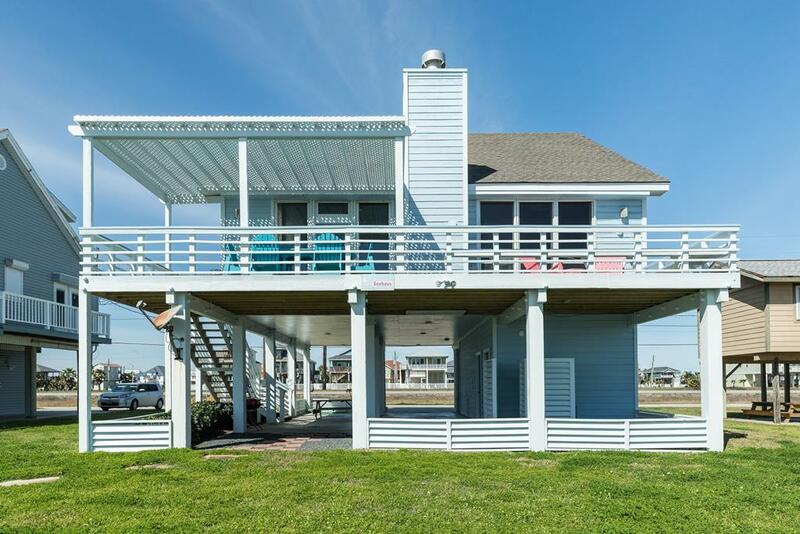 It is the perfect beach home, plenty of room, great kitchen, comfortable beds and furniture, large tv's, nice appliances, great deck and more. We hope to go back. Seehaus was a wonderful house. We had 4 people in our party so there was plenty of room in the living area which was open to dining and kitchen. The decor was pretty and the furniture/beds were very comfy, also the walk-over to the beach was nice to have. Oh, my husband loved taking a shower in the outdoor shower which had hot water. We have stayed at the Seehaus twice - once last year with our adult daughters, and once this past weekend with four close friends and members of our family. 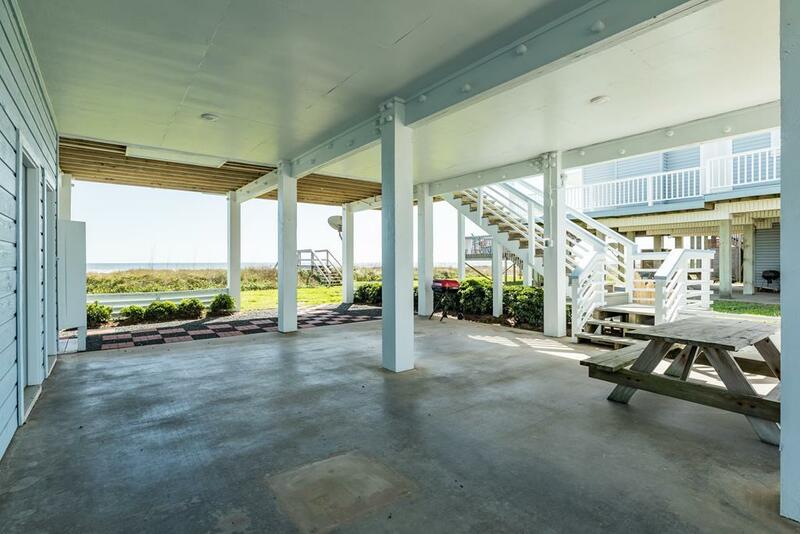 The location of this home, directly facing the water, with a generous surrounding deck on which comfortable chairs and table are placed for your enjoyment, is spectacular. We spent many hours walking up and down the beach, jumping over and under the waves, and enjoying the sounds of the ocean directly from the generous deck. The kitchen is very well equipped and we prepared all meals therein without missing any critical items. 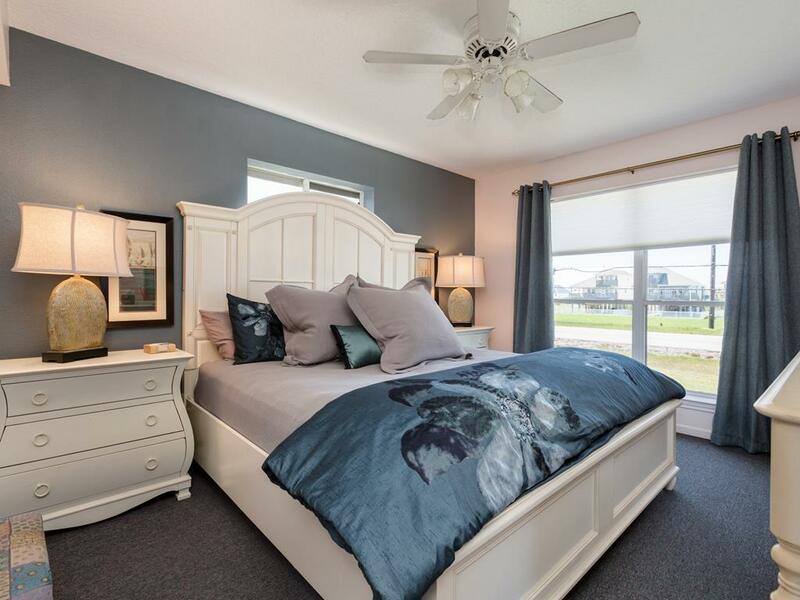 Bedrooms and bathrooms are clean and comfortable. We definitely plan to return in the very near future! Our family really enjoyed our stay at Seehaus. This property has the best location! 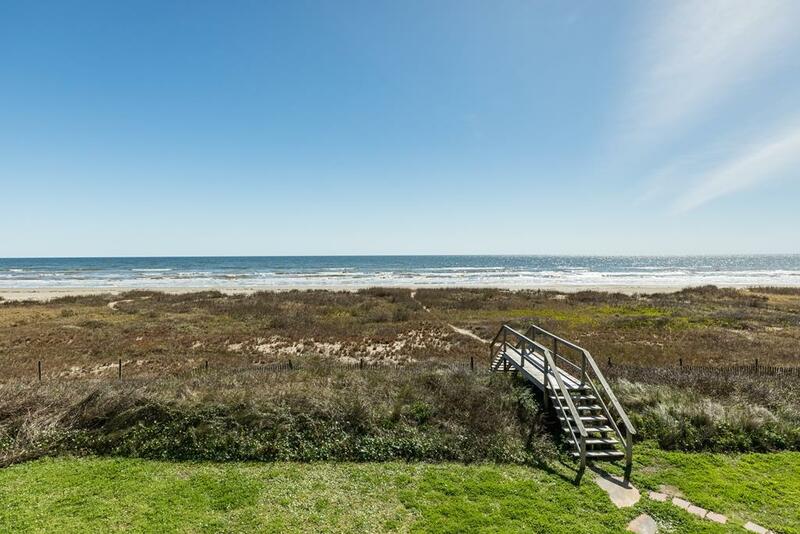 A convenient dune walkover gets you on the beach where cars cannot drive on (unlike some of the other areas of beach at Galveston) which you will really appreciate if you are bringing little ones. 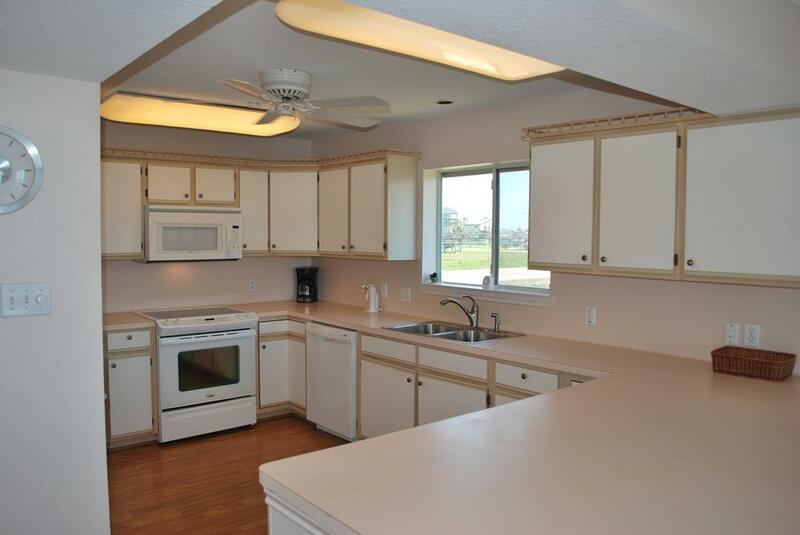 The huge kitchen is well equipped for any cooking you would want to do. Beds and sofas were comfy, the property was very clean and well maintained, the AC worked great and TV's and ceiling fans were everywhere. 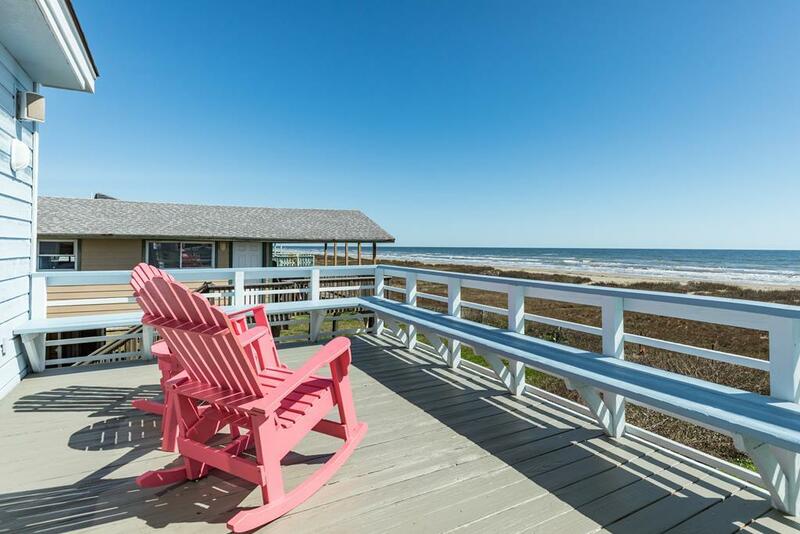 Thank you, Sand 'N Sea for a smooth rental process and such a great property. This was our third rental home we have used for our family vacation. Seehaus was the best so far. 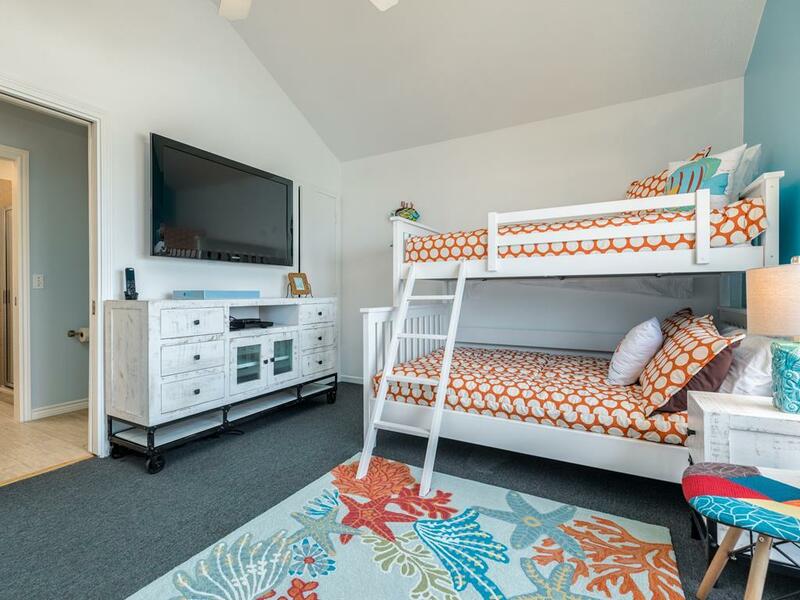 The bedrooms were large and comfortable and so was the living area. A really nice area under the house where you could sit or shower off. We loved this house and will go back. 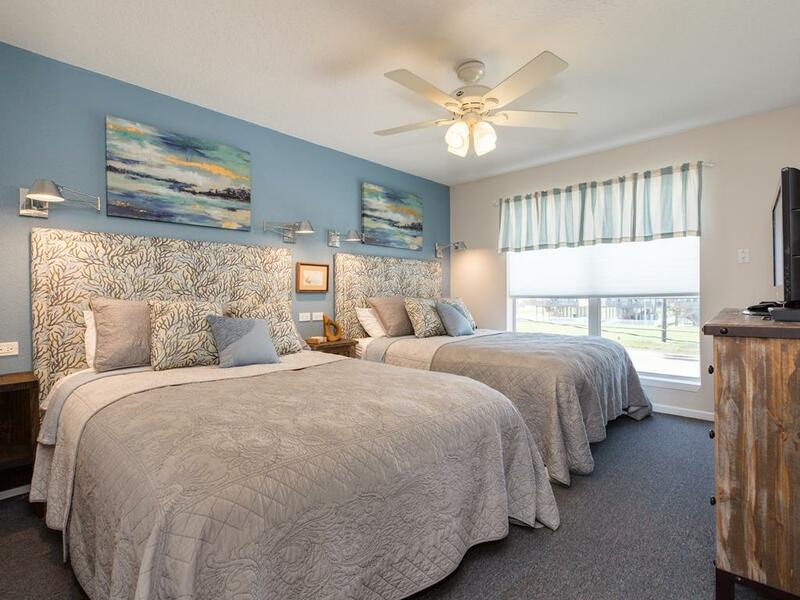 Seehaus is very nicely equipped with everything that is needed (and more) and as well has nice appliances, comfortable beds, large tv's, comfortable furniture and a great patio with plenty of seating. The crossover to the beach is nice and the beach is very close and clean. Our family visited the Seehaus in late August 2015. 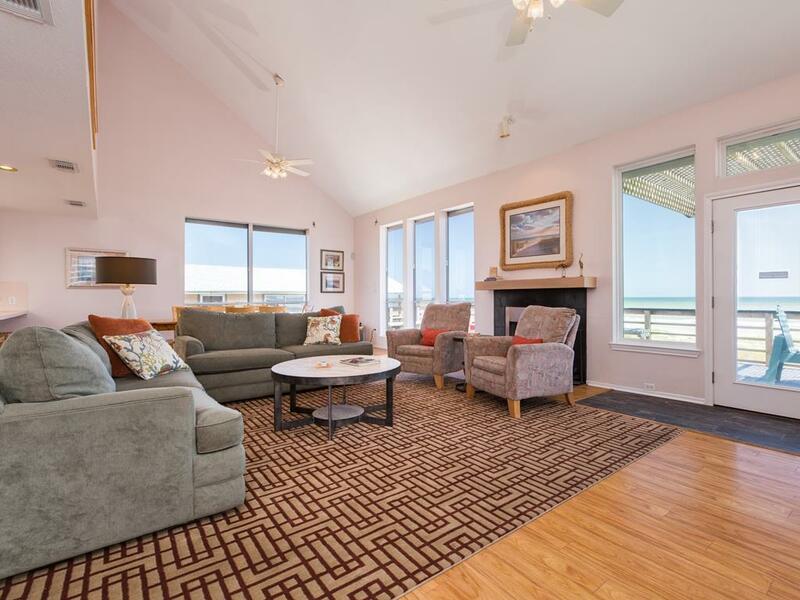 The Seehaus is an immaculately maintained and beautifully decorated house located directly on the beach, with a wood paneled access walk way over the dunes. 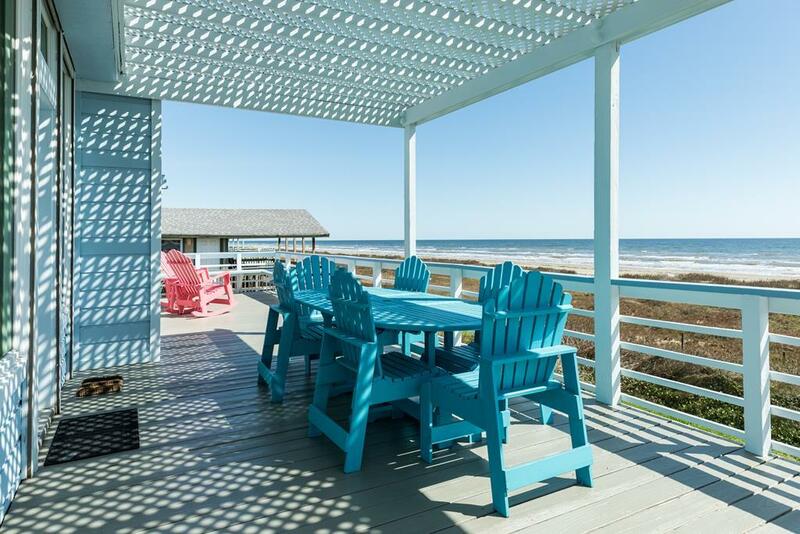 We thoroughly enjoyed the deck surrounding the ocean-side of the house, where we enjoyed a beautiful view (and the sounds) of the beach before us, in addition to the late afternoon hours prior to sunset. We spent many hours walking along the beach, enjoying the views of other homes, families who were enjoying fishing and swimming in the ocean, and a beautiful vista of the ocean-wide landscape before us. The kitchen in the house is well-equipped even for a family such as ourselves, who all love to cook and eat. 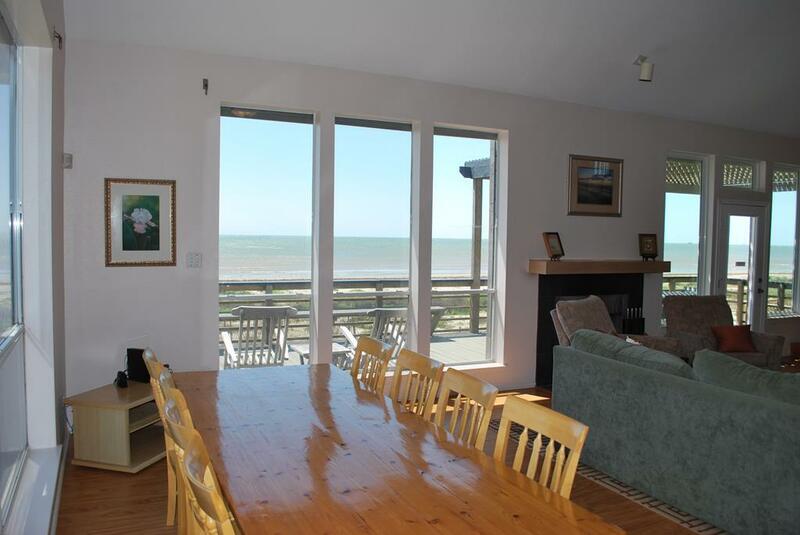 Plenty of room to accommodate up to 12 people in this lovely ocean-side family getaway. We look forward to coming back on a regular basis, and recommend this venue highly to future family visitors. Wonderful company. Friendly people. Good properties. I've never been disappointed with Sand N Sea or one of their properties and I've rented from them many times. Nice property. 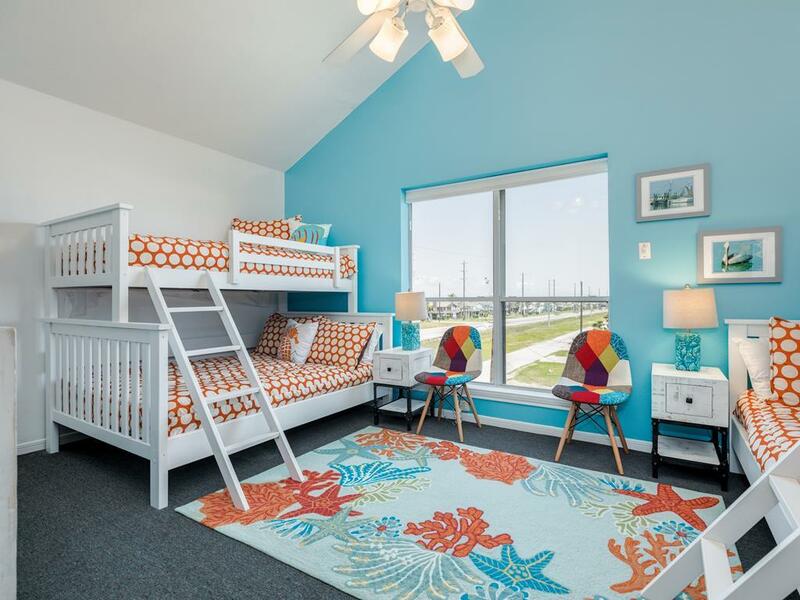 Good setup for families. Excellent kitchen. This is a well stocked place with plenty of room to spread out for large groups. Love the covered deck area for relaxing outside but shaded. And the new blue Adironack chairs added a nice touch! ...another great year staying at a Sand 'n Sea property. This was our first stay at Seehaus and both our family and the other family enjoyed our stay. Seehaus has a great layout and is super roomy. The house was very clean and well appointed. It would be nice if there were blinds in the bedrooms that face the road and other houses. We eventually discovered you have to close the storm shutters in order to have privacy. Great deck for sitting and watching the waves. Could use some new furniture. My 5 yr old who only weighs 38 pounds sat down in a chair and it immediately collapsed. I am sure patio furniture wears quickly in a beach setting. I think it is time for some replacements. We just used the great wrap around built in benches after that. We loved the huge kitchen and family room. This is a really great house and I would stay here again. Hello Franz family! We are glad you enjoyed Seehaus, and were very sorry to hear about the incident with the patio chair and are glad everyone was okay! 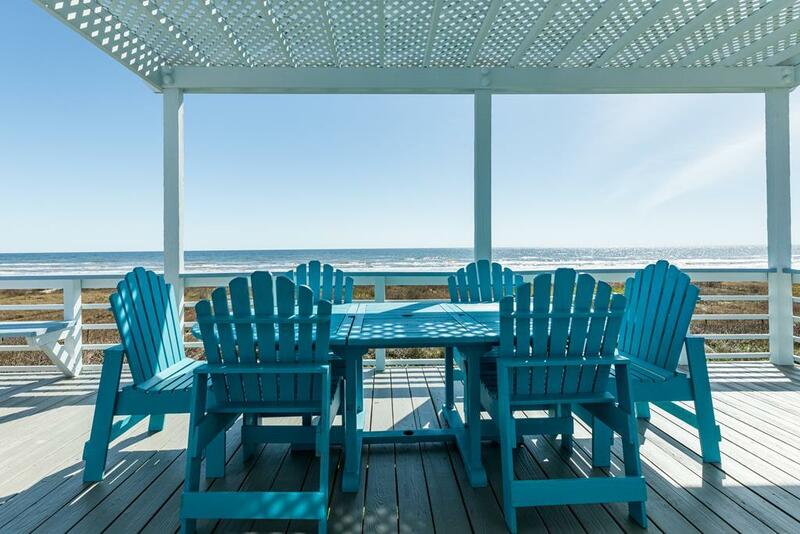 The salt and water do take a toll on the outdoor furniture, and we will be working with the homeowner to ensure there is a good selection available for guests. So happy the built-in benches worked for you! **UPDATE 10/2014: New outdoor furniture has been added to Seehaus! **UPDATE 1/2016: All bedrooms now have privacy blinds. The bedroom windows need shades or curtains. There are two issues. The bedrooms in the back face the highway. The sun is glaring in the morning. Hello Peterson Family - Thank you for your suggestion about Seehaus! We will definitely be sharing your feedback with the homeowner, and we look forward to seeing you at the beach again soon! UPDATE 01/2016: Privacy shades have been added to all of the bedrooms! Hi Little Family! We are sorry that the outdoor furniture wasn't comfortable for you at Seehaus. We are always happy to address any issues you encounter - just give us a call during your stay! **UPDATE 10/2014: New outdoor furniture has been added to Seehaus! We had a great time at seehaus. The house was very clean and well kept. The kitchen is well stocked with just about everything you can think of.This was our 5thyear to stay in sea isle and this house was by far the lagest and best we had stayed in. The walkover made it easy to get to the beach. We were very impressed with sand N sea. When we got to the house we found there was no grill, I called and they got one . there in no time..they were very nice and helpful . Thank you everyone at Sand N Sea and to the owner of Seehaus for a great stay. This was a wonderful home. 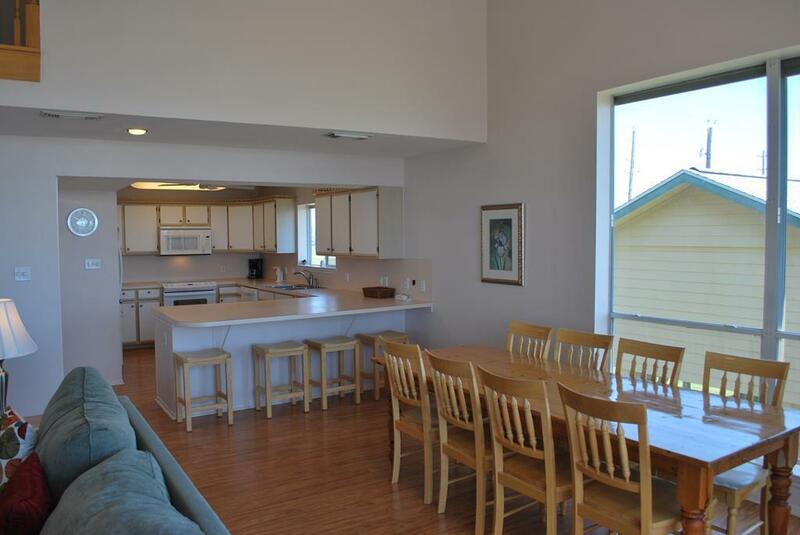 Lots of open space in the kitchen and living area. The kitchen was great with a large bar area. I love Seehaus house..we have stayed there for 4 yrs. during week of 4th of July. Recommend it. Seehaus is a lovely, well maintained home. It is spacious and comfortable. Interesting books, DVDs and games for both the adults and childern are available. The view is spectacular. 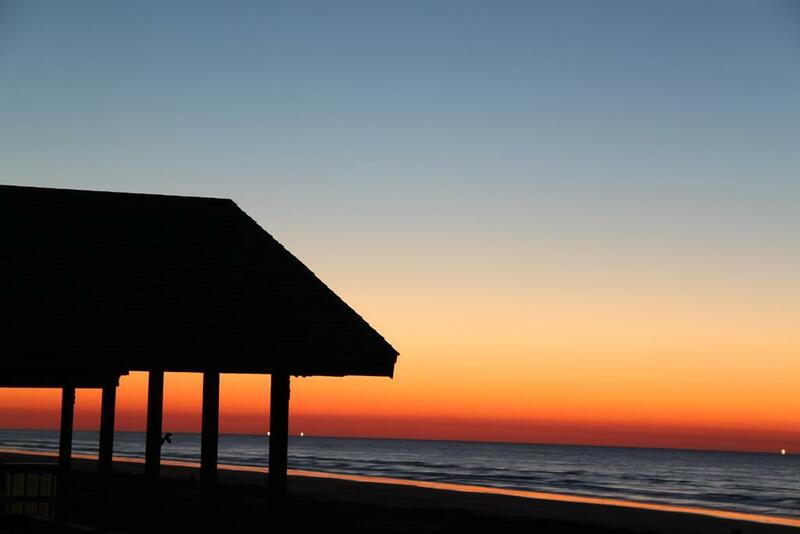 We enjoyed a glorious sunrise from the deck and the safety of no motorized vehicles on the beach. Beach access, however, remains a problem as there is only a make-shift access with no clear path. This is the second year I have rented Seehaus and the problem has not improved. The current access makes it very difficult to get beach equipment to and from the beach and very difficult to almost impossible for older visitors to reach the beach. We are happy to report that a dune walkover has been added for easier access! It's ready for Seehaus guests as of 4/6/14! My son, daughter, their spouses, 6 grandkids and I had a great time staying in this beautiful house. It's spacious, has plenty of beds and well stocked kitchen. My only complaint is that there is not a good access to the beach. You have to lug your chairs, cooler etc. over a small dune of deep sand to get to the beach. A small boardwalk (no stairs) or a pathway thru that dune would be nice. The renters there were kind enough to let us use their pathway but when they left, the owner was adament that we not walk on his property. Still, I would go back in a heartbeat. 4/6/14 UPDATE: We are happy to report that a dune walkover has been added for easier access!